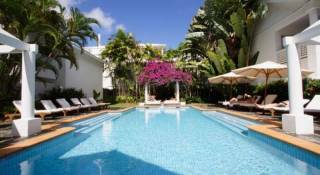 Full luxury accommodation PRIVATE HEATED LAP POOL, 5 minutes walk esplanade, shops, cafe's & restaurants. 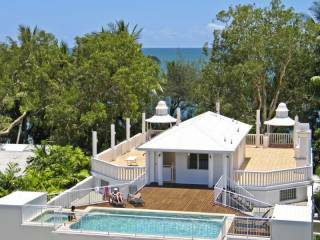 Complete Privacy and Fabulous Bespoke Beach House! 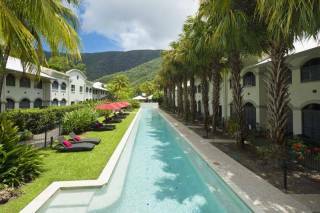 Déjà Vu’s charm derives from its impressive luxury facilities and décor, family orientated home away from home but with you own crystal clear heated lap pool. 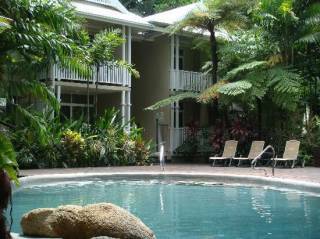 The coral sea being a few minutes walk from the front door and convenient access to the World Heritage Listed Daintree Rainforest and Great Barrier Reef. 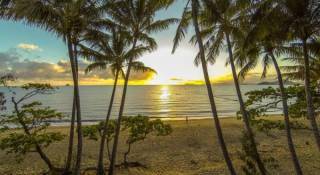 The amazing location in the " Dress Circle of Palm Cove" at 49a Cedar Road, Palm Cove, 5 minutes walk to the jetty, esplanade, beach, restaurants, cafe's and shops. Déjà vu offers open plan indoor /outdoor living in true Far North Queensland style. 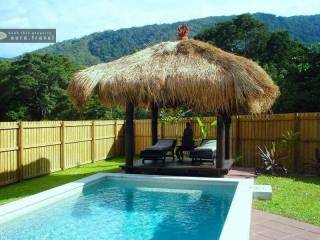 Relax on the day bed with views of the family in the pool and mountains in the back ground. Convenient outside kitchen patio entertaining area to keep the family/group together to enjoy the fun! Deja Vu would be perfect for groups/couples as it has combination of 3 King bed and a Fold out double sofa couch OR 2 Kings, 2 King Singles and a fold out double sofa couch. Also there is a separate area upstairs that you can sit and relax and look over the pool but also give each other some space. Master bedroom has a King bed, large walk in wardrobe, 3 metres of bathroom with double vanities views of the mountains and pool. Second bedroom has a King, third bedroom can be a King bed or 2 King Singles, both have a balcony with a large bathroom (bath) to share and private toilet. $500 Bond to be taken 14 days prior to arrival. If you require assistance with anything, please call your Meet & Greet representative. Full payment of accommodation plus $500 Bond is due 14 days prior to your arrival. (ie 100%) must be paid to confirm your booking. $500 Bond is due 14 days prior to your arrival. (ie 100%) must be paid to confirm your booking. $200 Cleaning fee is due on booking.